The movie showcases the second day of the two-day "BanG Dream! 6th Live" concert held at Ryogoku Sumo Hall in Sumida, Tokyo, in December 2018. It was the "BanG Dream!" 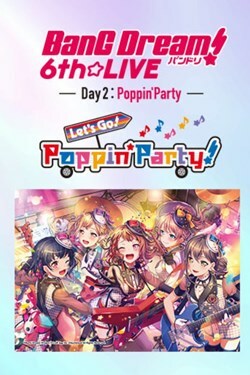 franchise`s sixth official live concert, also marking all-girl band Poppin`Party`s sixth official live performance, "Let`s Go! Poppin`Party! ".